My interest was piqued by a recent Hawaii Public Radio piece entitled, Planning Neighborhoods: What? When? Where? It is part of the larger, ongoing discourse in Hawaii that is now reaching a fevered pitch as Hawaii's economy improves and land use projects move from conception to construction. I was interviewed by Noe Tanigawa and briefly quoted in the piece. In our longer interview, I got the sense that Noe was trying to put her finger on who makes the ultimate decision on how we grow as a state. 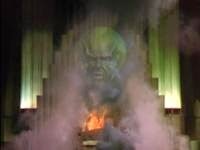 My response to her was that there is no "Wizard of Oz" pulling levers behind the curtain. How the state grows is everybody's responsibility. People look to blame government or project proponents, but those efforts are project specific and ephemeral. It will not significantly impact the future of Hawaii. "To improve the planning process in this State, to increase the effectiveness of government and private actions, to improve coordination among different agencies and levels of government, to provide for wise use of Hawaii’s resources and to guide the future development of the State.” See HRS §226-1. To “provide for the effective management, beneficial use, protection, and development of the coastal zone.” See L. 1977, c 188, § 1. How we deliver, as a society, on these promises is everyone's responsibility. There is no one person or institution to blame, because we are all to blame. Instead of pointing fingers, let's figure out what "we", our generation, want our future to be and set up mechanisms and strategies to obtain our preferred future. But let us remember as we move forward that it's not just about land use, it is about basic concepts of a healthy society--unalienable rights, such as life, liberty and the pursuit of happiness. This challenge requires complex solutions to multidimensional and multidisciplinary problems that confront our modern society. Like with so many challenges confronting our society, we know the problem. In many cases, we have known for decades. The question is, who is up to this task for making real change divorced from politics and self-interest for the benefit of current and future generations as a whole? We need a critical mass of those kinds of leaders posthaste.